There are many elements within your Audi Q8 that need to run smoothly to ensure it is operating at prime capacity. One of those parts is your catalytic converter, which helps control the amount of fuel your vehicle uses. When you bring your Audi Q8 by Hi Tech Luxury Imports near McAllen, TX 78504 to be checked by our Service Department, we will make sure it is performing the way it should so you can save money at the fuel pump. As parts of your engine begin to wear, harmful emissions start going through your system. When your catalytic converter is working property, it helps to prevent these harmful emissions from entering your Audi Q8, as well as from being released into the air. The catalytic converter is located under your vehicle, so it can be hard to tell when it has a leak from a hole, or if it’s loose which can result in expensive repair bills. 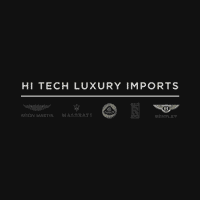 Our service team here at Hi Tech Luxury Imports near McAllen, TX 78504 will ensure your catalytic converter is clean and functioning the way it should be. Our expert technicians are extremely knowledgeable regarding every aspect of your Audi Q8, and will make sure the engine, and all other elements, within your Audi Q8 are safely tested and up to the EPA regulation standards. The most common type of catalytic converters are three-way models, which help neutralize and reduce nitrogen oxides, unsafe hydrocarbons, and carbon monoxide. In order to pass EPA regulations, you need to have one that is working at full potential. Failing one of these tests could result in some hefty fines, which you can avoid when you take your Audi Q8 into our Service Department here at Hi Tech Luxury Imports near McAllen, TX 78504. Checking your catalytic converter to be sure that it is functioning properly could also affect your fuel mileage. The oxygen sensor within your catalytic converter reads the amount of oxygen that is in your exhaust, and will adjust the fuel-air mixture if need be. If this sensor isn’t working the way it should, it can limit your vehicle performance, and reduce your gas mileage. If you want to have this portion of your Audi Q8 inspected, make an appointment to bring your vehicle in to Hi Tech Luxury Imports near McAllen, TX 78504 on a day and time that works best for you. Your catalytic converter may seem like a small aspect of your Audi Q8, but when it isn’t running properly, it can result in serious repercussions. Our service team at Hi Tech Luxury Imports near McAllen, TX 78504 is fully trained on how to inspect and repair catalytic converters on all types of vehicles. Schedule an appointment with our talented team of experts today to ensure your catalytic converter is operating the way it should.